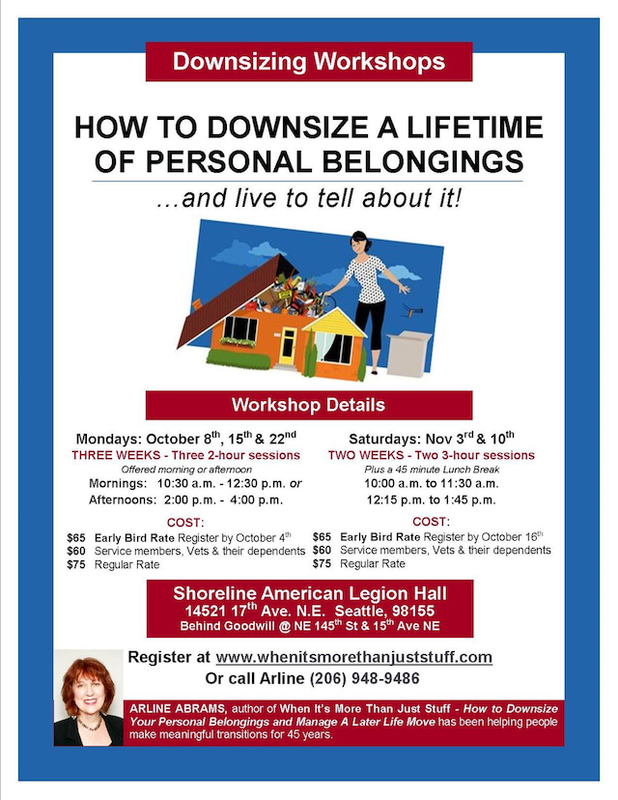 How to downsize a lifetime of personal belongings - and live to tell about it! Workshops are being held at American Legion Post 227. A choice of Mondays or Saturdays. Early bird pricing if registered by October 4th (for Wednesday sessions) or October 16th (for Saturday sessions).